Traslation curated by Thirza Ember. Thank Thirza! * What is the Museo del Metaverso's Art & Poetry event? The Art & Poetry project brings together digital artists and the vivid verses of renowned Neapolitan poet Carmen Auletta. Her work captures not only the city of her birth but also the universal themes of love and memory, childhood and death. * I want to choose a poem! Where can I read them? The poems are available both in the original Neapolitan dialect, and also in English translation on the MdM website at http://www.museodelmetaverso.it/pages/poesiepoems-1, The idea is that each artist should choose one poem that appeals to them, and make a piece of artwork (sculpture, machinima, painting, installation etc., depending on their field) that reflects their reaction to that specific poem. * What do I do once I have chosen a poem? When you've chosen the poem you'd like to illustrate, you need to SIGN UP. * Who do I contact ? You need to contact Roxelo Babenco, at museodelmetaverso@gmail.com you can also contact her via the Art&Poetry Groups on Koinup amd Flickr. * Why do I need to contact Roxelo? So she can give you logistical details! Each week we will be showcasing a different poem, in a different sim, together with the work by the artists who chose that poem. Each sim or gallery has its own prim limits, so it's important you sign up and confirm which poem/week/sim you're going to be working on. * Where will the project events be held? The project is going to be running in both SL and OpenSim. All the poems and artwork will be shown on the home sims of the Museo del Metaverso, in craft-world.org. as a permanent exhibition throughout the length of the project. * ONE POEM, MULTIPLE ARTWORK, ONE WEEK. In SL, the project will be traveling to different sims. Every week, a selected poem by Carmen Auletta will be put on show, together with the art it has inspired, for one week only. You can get a weekly rundown of the poems and the artists, and the sims where they are going to be on show from Roxelo, or by going to the Museodelmetaverso website, or checking in with the Art&Poetry groups. Since these are temporary exhibits, artists will be asked to promptly put up and take down their work according to a strict timetable, so please check your mail and notices. Your artwork will be on show for an extended time in Craft. You will also be able to follow the project through the Art&Poetry group on both KoinUp and Flickr. The Neapolitan poems of Carmen Auletta are the starting point for an exciting new project combining poetry and art. Carmen (Margye Riba in SL) is an award-winning poet from Naples, whose work has received international recognition as well as being used in school textbooks. The culture and language of the city of Naples is well-known for its rich range of humor, emotions, and passion. Perhaps the most famous figure is Eduardo de Filippo http://www.enotes.com/twentieth-century-criticism/filippo-eduardo-de He was one of the most important figures of the Italian stage in the 20th century. Like de Filippo, Carmen's themes are those of the common man or woman, those universal sentiments that affect us all, wherever we are from. 2. A related show, involving dynamic artwork inspired by Carmen's poems and that will be traveling to various venues across the grid. • Fifteen of Carmen's poems have been chosen and will be published in both Neapolitan and English on the MdM website. • Sixty artists working in a wide variety of media, including architecture, design, photography, machinima, performance artists and so forth, will be invited to create a piece of art based on the poems. • The type of artwork, deadlines and logistics of the show will be subject to a set of clearly defined guidelines. 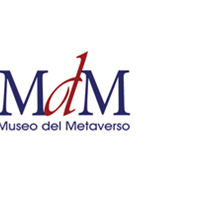 • Those wishing to participate should send a short bio together with two photos of their work, or a link to their website, to museodelmetaverso@gmail.com no later than August 31, 2011. • All participants are invited to join the Museo del Metaverso in Facebook etc, where they will be able to to follow the progress of the project via a group and a dedicated blog. • The two shows will be opening both in OpenSim Craft, on sim Museo del Metaverso, and in Second Life, on sim Pyramid. The traveling show will be relocated in a different region each week. We will be looking for sim owners who have experience in hosting artistic events. • Each week, four artists will show their pieces inspired by Carmen Auletta's poems, available in Italian 9and soon in English) under the tab “Art and Poetry” http://www.museodelmetaverso.it/page/poesie-1 of the MdM website. The art will be on show from Thursday to Sunday, beginning on September 21 2011, both in OpenSim Craft at the Museo del Metaverso, and in the various host regions in SL. This means that the participants will have 4 days = 1 for setting up. All art will be removed on the last evening of the exhibition, or at the latest by Monday, to make room for the next set of artworks. • Each week, selected poems will be shared in Voice, and we hope that many Neapolitan residents will take the opportunity to share their rich accent and dialect with the audience, by reading one of carmen's poems out loud. Koinup.com promuove il contest "Diversità Virtuale" (http://www.koinup.com/group/Virtual-Diversity/) , al quale museodelmetaverso.it collabora, assecondando una tradizione che ha visto spesso collegato MdM alle iniziative del social network fotografico sui mondi virtuali, fondato da Pieluigi Casolari. In questa occasione c'è un altro partner a tenerci compagnia: mondivirtuali.it, il sito web di Luca Spoldi, dove si offrono ai lettori numerose notizie, spunti e curiosità sui mondi virtuali, nonché una disamina sul loro stato di salute. Il contest "Virtual Diversity si fonda sul concetto che "Il Metaverso è un ecosistema basato sulla diversità virtuale. Tutti gli avatar sono unici, perché ci sono sempre persone reali dietro i pupazzi. In Virtual diversity Contest l'obiettivo è quello di dimostrare la singolarità dei diversi avatar; sia che essi abbiano un aspetto aderente alla realtà o siano soltanto personaggi di fantasia, furries o in stile manga, l'avatar è sempre uno specchio della nostra personalità." Al contest possono partecipare, con una sola immagine che rappresenti un avatar (potrà essere un autoritratto o il ritratto di un altro avatar), tutti gli iscritti a Koinup.com, proponendo avatar tratti da qualsiasi mondo virtuale. Sarà anche possibile rimuovere una immagine e sostituirla con una nuova purché nel periodo dal 28 marzo al 19 aprile, data di chiusura del contest. Il vincitore, che verrà intervistato su Mondivirtuali.it/SLnn.it, sarà annunciato il prossimo 26 aprile dopo essere stato selezionato da una giuria composta da Pierluigi Casolari (co-fondatore e Ceo di Koinup.com), dal sottoscritto e da Roxelo Babenco (aka Rosanna Galvani), fondatrice e proprietaria di Museo del Metaverso (http://www.museodelmetaverso.it), nella cui galleria digitale verranno esposti i 15 migliori finalisti. A me non resta dunque che invitarvi a partecipare numerosi coi vostri migliori ritratti di avatar! E buona fortuna a tutti. The Metaverse is an ecosystem based on virtual diversity. All the avatars are unique, because there are always real persons behind the puppets. The Virtual Diversity Contest's goal is to showoff the countless biodiversity of avatars. From realistic to fantasy, to furries and manga like characters, The Avatar is always a mirror of our personality. The absolute winner - along with the exhibition - will be featured in a special editorial on the magazine Mondi Virtuali (the editorial will include a special interview). Il Museo del Metaverso (MdM), è nato in Second Life nel 2007 e da due è presente in Opensim, caratterizzandosi come luogo “antropologico”, in continua evoluzione. Le opere, le installazioni, l’architettura stessa del museo, le perfomance, gli eventi, gli artisti, gli amici, gli owner costituiscono un’unica opera concettuale, immersiva e performante, che ha dato vita ad un’esperienza di successo, con riflessi nel mondo reale. Le attività del museo si contraddistinguono per un nuovo modo di presentare e promuovere l’arte, attraverso laboratori, immagini, testi, video e performance, ma anche mediante le molteplici iniziative che direttamente si organizzano in World e nei luoghi fisici. Il museo da diversi mesi sta consolidando la sua posizione nella Opensim CRAFT, la grid ideata e gestita da Licu Rau, dove si può ammirare la struttura museale in tutta la sua grandezza e il suo splendore. E' opportuno spendere due righe per presentare la struttura ideata e creata da Nicola Reinerman. Nicola, tenendo conto della costruzione precedente, ha conservato una composizione modulare, funzionale alle esigenze di continua evoluzione architettonica e artistico-culturale del Museo. Altro aspetto importante, bene interpretato dall'autore, è la capacità di questa struttura di fondersi con le opere stesse, fino a fare sì che il museo si configuri come quella complessa opera concettuale, rappresentata dagli artisti, dalle loro opere, dai visitatori, dagli stessi owner, da tutta la comunità che si è creata e orbita intorno al museo, nonché dalle storie umane, artistiche e culturali che crescono e si intrecciano nel Museo del Metaverso. Le opere esposte, dalle fotografie alle sculture , alle installazioni, sono nella maggior parte dei casi interattive. Pertanto, vi consigliamo di toccarle con il mouse e vi accorgerete che potrete scorrere le foto, costruire o decostruire una installazione ovvero giocare interagendo con queste straordinarie creazioni digitali. Il Museo è dotato di un sistema di teleport efficientissimo, che troverete ad ogni piano. E’ spazio aperto a tutti coloro che abbiano contenuti da proporre e che vogliano realizzarli insieme a noi, è altresì incontro di culture, di linguaggi espressivi e di idiomi. Il museo è luogo di ritrovo, dove è possibile condividere un percorso di conoscenza con il viandante che, in visita, porta in dono la sua sapienza e, a volte, il suo sottile acume; è una fucina di idee, di sperimentazioni e di visioni. La finestra sul web, di cui si dispone, rappresenta un efficace mezzo di comunicazione della mission e delle iniziative in programma. Il Museo del Metaverso (MdM), da tre anni è presente in Second Life, caratterizzandosi come luogo “antropologico”, in continua evoluzione.